Every week in our office, we see loving and caring parents with the most wonderful intentions who feel confused and exhausted when they don’t see the results they are wanting, and it adds significant stress to their lives and relationship. There are many parenting philosophies and strategies, and a lot of couples discover that they differ in their approach. As we were driving home from our trip with our son, we were feeling so much gratitude for our own parenting journey and everything we’ve learned over the years, and we felt inspired to dedicate this blog to sharing some thriving parenting tips. 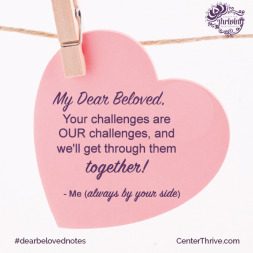 A lot of these things we learned through trial and error, and we totally get how the parenting journey can teach us, humble us, and stretch us in ways we never imagined. We bow our hearts to you for all the time, energy, and love you are putting in! 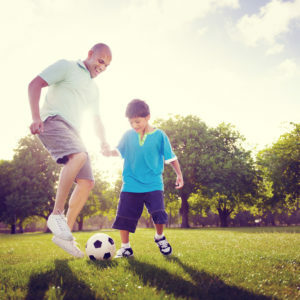 We’re hoping these 7 tips serve as a positive reset point and help the two of you reconnect to being on the same team (being on the same team makes an enormous difference – for your relationship and for your kids) and to develop deeper family relationships. These are fully relevant for step-parents too (like me, Christine!). Also, if you aren’t parents together, these tips will apply to many other relationships in your life. One last thing before we dive in. Parenting is a deeply personal journey, and we honor whatever your path is. These are simply some of the things we’ve chosen to practice and that we’re convinced have helped ensure (1) the incredible happiness our son feels about himself and his life (2) the intimate and positive bond we’ve maintained with him through all of life’s many stages, from childhood through the teenage years and now into his young adulthood and (3) his thriving success and the big dreams and goals he’s enthusiastic about achieving. We acknowledge that we are immensely fortunate, but we also recognize that his life, happiness, and success and our relationship with him could have taken many different turns, and we very intentionally applied the thriving parenting tips we share below. May they be of service to you! 1. Listen with an open heart and mind. One of the biggest complaints we hear parents say is that their kids don’t listen to them. However, when we then ask the parents to take an honest pulse about how well they are listening to their kids, most realize it isn’t exactly their proudest parenting quality.  The more you fully listen to your kids (without getting defensive, interrupting, invalidating, or giving advice when they just want to be heard), the more they will truly listen to you (and not just pretend they are listening). We invite you to really take in what your kids say. Welcome their thoughts and feelings. Be passionate about understanding their inner worlds, feel and empathize with what it is like to be them — without making any of their feelings wrong. Be with them in their emotional experience, whatever it is. Find joy in their joy! And when something is important or upsetting to them, offer compassion and heart-centered presence. Also, be sure to listen for what’s underneath what your kids say and do. Rather than focusing on their behavior, listen for WHY they are doing what they are. What do they really need, or what are they really trying to say? To better listen, we often find that shifting your physiology can be helpful. For example, rather than having a heated conversation when you’re both standing in the kitchen, get into a relaxed position, and have a calmer and more connected conversation on the couch or their bed — when you can look into each other’s eyes or can put your arm around them while listening. We could have great kids, a beautiful life, and be really wonderful parents — but if we don’t pause to recognize all of these things as such, they can just pass on by without us ever feeling or receiving the goodness of them. Actively appreciating life with your kids is so important. Many parents feel under-appreciated, understandably so! One great solution to this is to create a family ritual of appreciation where you each express gratitude. For example, at the end of an experience on the drive home, take turns naming the good things about the experience. Or, at the end of the day, express gratitude for each other and also about your life in general. Boosting the amount of expressed gratitude that happens during your time with your kids has many benefits: it will bond you, you’ll feel happier when you spend more time focusing on the good stuff, you will teach and model for your kids an invaluable life skill, you will apreciate your kids more, and you will realize how much your kids really do appreciate you (and they’ll realize it more too!). 3. Focus on their strengths, and point out all of the things they are doing well. Some parents have bought into the myth that their role is simply to point out what their kids could do better. However, what we focus on expands and grows. Being critical might appear to motivate some kids in the moment but, for most, it will actually discourage, tire, and disempower them. Over time, your criticism and shaming creates a vicious inner voice for your kids, and this can create all sorts of issues in their lives. It can also lead to self-sabotage and resistance. Instead, when you focus on celebrating and appreciating their strengths and the things they do well, they feel more empowered, confident, inspired, engaged, and energized and develop an inner talk that sets them up for success in life. We are immeasurably shaped by how others see us. See your kids in a way that you want them to become more of. When you point out all of the good things in your kids, they will also feel more seen by you, want to come closer to you, and be more receptive to your love and guidance. 4. Focus on how YOU can change, more than how they can change. Whatever it is you are wanting to see or cultivate in your kids, BE that. Be in integrity by modeling what you are teaching. For example: want them to eat healthier? Be healthier. Want them to manage their emotions better? Be sure you are healthily managing yours. Want them to spend less time on technology and more time outdoors? Do that yourself. Want them to have a more positive attitude about things? Show them how to do so with YOUR positive attitude towards them. Self-awareness and self-care are essential in parenting so that you don’t leak your stress or unhealthy patterns onto your kids or respond defensively or take things too personally. 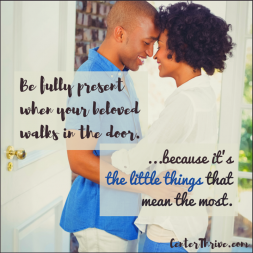 As a couple, this also includes nurturing your relationship with each other. If you are happy as a couple, it creates a positive ripple out to your kids. They will mirror how they see you treating each other — so be sure to interact with each other in ways you’d love for them to reflect. 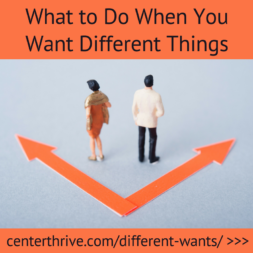 Essentially, rather than just doing more of the same approach and getting mad at your kids for not complying with it, spend most of your moments looking WITHIN yourself to what YOU can change (1) in what you are modeling and (2) in your approach. 5. Have high expectations combined with high levels of encouragement and support. Having high expectations of your kids is wonderful and allows them to achieve more in life than they otherwise would on their own. We all need to be challenged to stretch outside our comfort zones and current patterns into healthier ones that will create our greater success. There is a huge difference, however, between loving assertiveness and aggressiveness. Be warm, consistent (both of you on the same team! ), and supportive when monitoring their behavior. When setting boundaries, be sure you don’t lose empathy, and actively help them with whatever you want them to improve. Be especially mindful of your tone. Be consistent but not rigid. Do everything you can to set your kids up for success (rather than expecting a lot but not helping them in the ways they uniquely need help and then judging or punishing them for not meeting your expectations). Be sure to also give them encouragement all along the way and celebrate the mini successes as they come! 6. Say yes as often as possible, and let them be an active participant in choices and solutions. In parenting, you’ll drive yourself (and your kids!) crazy if you try to over-control or monitor them. The more you say yes to those little things, the more bonded you will be, the more you’ll get to know your kids, the closer they will want to come, and the more they will hear and honor whatever the bigger and more important “no’s” are. Also, when you are coming up with a solution for something, let them be an active part of it. Listen to their suggestions, and be teammates in co-creating a plan together that works as well as possible for everyone involved. 7. Spend quality and positive time with them doing what they love. Of course, this list is not comprehensive, and there is lots we could say about parenting! 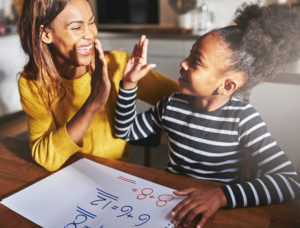 However, we hope these 7 tips give you a little boost to help make parenting a more ease-filled, bonding, rewarding, and positive experience that brings out the best in you all! Wishing you all the best!